12pm - 12.45pm	Club Awards and AGM - ALL WELCOME! The EPGP Lions Presentation day will be held at Leonay Golf Club on Sunday 23rd September 2018 from 10am - 3pm. Please see our Lions website, TeamApp or Facebook for full details regarding times. Attached is the Notice of 2018 Annual General Meeting. As we've done in the past, the AGM is integrated into our Presentation Day to give everyone the opportunity to be part of taking our GREAT club forward. The Junior Clubs March is on again at Spotless Stadium when the GIANTS take on the Brisbane Lions. This is a great opportunity for registered club players to be involved in the first GWS GIANTS home game of 2018. Due to the rain, all training has been cancelled for tonight. Uniforms are still available for purchase at the clubhouse between 5.30-7pm - just head upstairs. Cash or card accepted. Lions Trial matches against Canada Bay Canons are on this Sunday 25th March at Dukes Oval. Don't forget our Season Launch is on tonight. Tonights training has been cancelled. 2018 SEASON IS ABOUT TO START - REGISTER NOW!! The Lions are getting ready for an amazing 2018, coming back bigger and better than ever before. With preseason training well under way and teams looking extremely healthy we are ready to take on the competition in true Lions Pride!! Attention: All Youth Girls! You're invited to the 2018 Female Football Launch Night. This Wednesday 28th Feb - Greygums Oval, Cranebrook. Lions are seeking expressions of interest for coaches and coaching assistants for the new 2018 season. Our club is growing and it looks like we will have extra teams this year and we need more coaches. EPGP are on the run home to another great season with 6 of our teams in the Semi Finals this weekend. Congratulations to the teams and coaches for getting to the semis, you all deserve to be there for all the hard work you have done this year. 2016 SEASON: Please read all the below information as we have a HUGE month of footy ahead. 2016 SEASON: This season seems to be going in the blink of an eye with only 4 rounds to go before finals. Our club has gone from strength to strength this year and all our teams are doing really well on the field. We currently have 273 registered players in the club. PLEASE NOTE PHOTO TIMES HAVE CHANGED!!! EPGP Lions have partnered with the team at CLICK InFocus this season for our team & individual photos. All team & individual photos will be taken this Sunday at home. PLEASE NOTE: You will need to get a ‘club team photo order envelope’ from your coach and have it ready to give the photographer on the day. The GIANTS Junior Clubs March is on again for 2016. As a thank you to the local football community, the GIANTS are giving all junior club participants the chance to do a lap of honour around Spotless Stadium prior to the GIANTS v Gold Coast Suns game on Saturday 14 May. Welcome or welcome back to the Emu Plains/Glenmore Park Lions Junior AFL Auskick Team! Well, only a couple more days until our first Auskick training session. We are so excited to finally get started! Nominate yourself for 2016 Rep Trials TODAY! Registrations to take part in this year’s Representative Carnival are now open for U13s – U17s including U14s & U18s Youth Girls. This year Western Sydney will be hosting the Greater Sydney Juniors Representative Carnival at Blacktown International Sportspark on June 12th & 13th which provides a fantastic opportunity to showcase our region! ALL GIRLS YOUTH TEAM IN 2016!! Have fun, learn new skills and make friends playing Australia’s favourite game! Emu Plains Glenmore Park Lions JAFC are looking for girls aged 10-15 to join our ALL GIRLS TEAM in 2016. Come down to DUKES OVAL every Thursday 6-7 and try AFL. 2016 SEASON: Our season is fast approaching and it’s great to see so many players down at Dukes every week already training. We currently have 197 registered players. Some teams are filling fast. Please register as soon as possible so we can complete team allocations. LIONS ARE LOOKING FOR SPONSORS FOR OUR 2016 SEASON!! See you at Dukes to cheer on the lions!!! The EPGP Lions Presentation day will be held at Dukes Oval on the Sunday 13th September 2015 starting at 11am. We will also be holding our AGM at 11am on Sunday 13th September. The Lions have big plans for 2016 and want you to be a part of it. LAST ROUND: The season has flown by and this weekend will be the last round of the 2015 season. We have had another amazing year, with a record 237 players registered with the club and 5 teams about to start finals football. It’s going to be a huge 5 weeks as we wrap up the season!! Your invited to the Western Sydney Giants Juniors first ever fundraising ball. In order to keep our club registration fees down, throughout the year your team will be Attached is the 2015 Season draw. Times are listed for all home games at Dukes Oval. Tickets are only $25 per person and include entry and snacks. See you at Greenway Park to cheer on the lions!! It’s only 4 weeks till the first bounce of our 2015 Season. So come down to Dukes Oval for Emu Plains Glenmore Park Lions SEASON LAUNCH and guernsey presentation. We have a great night planned and all players and families are invited to join in the fun. YOUTH GIRLS TEAM CONFIRMED FOR 2015!! GREAT NEWS FOR THE LIONS!!! We are very pleased to announce that EPGP Lions have our first ALL GIRLS team in 2015. A big welcome to the teams new sponsor Kathryn & Ian Garton from McDonald's (Garton Group) for joining us to sponsor the girls for the next two years. A very special thanks to the Penrith Ramettes for supporting the girls and helping with training. Lions are seeking expressions of interest for coaches, coaching assistants and team managers for the new 2014 season. Our club is growing and it looks like we will have an extra 3 teams this year and we need more coaches. With pre season training already started and our club growing we are looking to start recruiting our coaching staff. ALL GIRLS YOUTH TEAM IN 2015!! 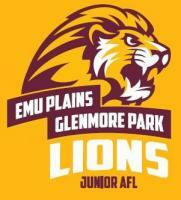 Emu Plains Glenmore Park Lions JAFC are looking for girls aged 10-16 to join our FIRST ALL GIRLS TEAM in 2015. Come down to DUKES OVAL Emu Plains this Wednesday and try AFL. 25th February 2015. The lions coaches will be down at Dukes Oval for preseason training and fitness. REGISTER NOW FOR THE LIONS 2015 SEASON!! The Lions had a great season in 2014, with 5 teams in the semi finals, 3 teams in the Grand Finals at Spotless Stadium and our Under 13’s & Under 15’s winning their Grand Final. Your club also won ‘2014 Club Of The Year’ for Western Sydney as well as ‘2014 Club Of The Year’ for Greater Sydney Juniors. Footy is back with AFL 9's at Dukes Oval. Great way to have fun with your mates this summer. Competition starts next Tuesday 21st October. Cost is $50 per person or $500 per team. Teams can be mixed, and be all ages come and try our great game. AFL 9â€™s is a mixed team social sport. Great news for our club tonight at the regions Kevin Sheedy Medal Night wining '2014 Club Of the Year' in our region (Western Sydney Giants Juniors). We also won '2014 Club Of the Year' for the AFL Greater Sydney Juniors (this is against ALL clubs in all regions). This also won the club a Swans Guernsey and $500 worth of Sherrin footballs. The EPGP Lions Presentation day will be held at Dukes Oval on the Sunday 14th September 2014 starting at 11am. We will also be holding our AGM at 11am on Sunday 14th September. Please see below for more information about the AGM. With only 3 rounds to go before finals, the Lions finals preparations and run home is looking great with 5 out of our 6 competition teams all holding top 4 spots on the ladders. AFL NSW/ACT & GWS GIANTS would like to invite all boys and girls aged 5 - 12 to attend the GIANTS Holiday Camp. EPGP Lions are hosting the Auskick Mid Season Gala Day this Sunday. Come down and support the club while we welcome over 250 Auskickers and their families, from 13 Auskick centres and clubs in our region, to Dukes Oval for a great morning of AFL. You’re invited to the GWS GIANTS Club Night for 2014. Please note all EPGP Lions Training will be held at Blacktown International Sports Park this Tuesday 17th June starting at 5:30. PHOTO DAY - THIS SUNDAY!! Club photos are this Sunday at Dukes Oval. PLEASE MAKE SURE YOUR TEAM IS READY to get their photos taken 1 HOUR PRIOR TO YOUR GAME STARTING. Your team needs to be there ready to go. All players will receive a team photo at the end of the year, thanks to our sponsor Jim Aitken & Partners. Rhys is EPGP Lions GWS ambassador and will be at Dukes Oval between 6:30 and 8pm next Tuesday. Tickets are only $20 per person and include Entry and finger food for dinner. ALL PLAYERS ARE INVITED to Spotless Stadium this Sunday to watch GWS take on Melbourne and do a lap of honour before the game. Please ask your coaches about this great opportunity to do a lap of honour with your team and club around Spotless stadium. Please make sure you wear your club shirts. Lions Trial matches against South West Tigers are on Sunday 30th March at Dukes Oval. See you at Dukes oval to cheer on the lions!! It’s less than 4 weeks till the first bounce of our 2014 Season. So come down to Dukes Oval for Emu Plains Glenmore Park Lions SEASON LAUNCH and jersey presentation. We have a great night planned and all players and families are invited to join n the fun. The Lions have submitted team nominations to the AFL and some teams are almost full. There are still spots for the 2014 Season, register online or by calling Sean on 0414 637 513. Pre season training starts next Wednesday 4th December at Dukes Oval. Everyone is welcome to come along, grab a footy and join in. Online Registrations are now open for our 2014 Season. Please click on the yellow link on the right hand side of this page to register on line for 2014. We are currently looking for two sleeve sponsors to be on our NEW club jacket. This is a great opportunity for two companies to be on 200 club jackets. Thanks to our sponsor "Time & Attendance Solutions" we will have our new training bags on sale this weekend. The training bags will be sold for $25 (normally $40) and are available to buy from your coach or at all home games from the canteen. Jo from JMH sports photography will be at dukes oval most home games to take action shots of our lions players. The EPGP Lions Presentation day is will be held at Blue Hills Oval Glenmore Park on the Sunday 13th October 2013. Please see attached for full details. We will also be holding our AGM at 12 noon on Sunday 13th October. Please see below for more information about the AGM. EPGP Lions presentation day will be on Sunday 13th October 2013. This year we will have an outdoor presentation day. More details will be sent out soon. The Lions have big plans for 2014 and want you to be a part of it. This year Emu Plains Glenmore Park Lions Junior AFL club will be having our first Sportsman's lunch to raise money for our club and more importantly The Ronald McDonald Family Room, recently opened at Nepean hospital. If you have not yet done so please return your Raffle tickets and money to your coach or manager ASAP. Additional books are available if required. Please call or text Michael on the number below if you require more books. Our 2013 season has started and the Lions want to put player safety first!! 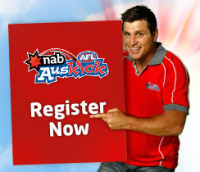 Next Thursday, 11th April, will be our last evening Auskick session. We will commence our Sunday mornings sessions on Sunday, 28th April, the last Sunday of the school holidays. Times and venue are yet to be confirmed by the AFL. Looking forward to seeing you all next Thursday night - hopefully the rain will hold off for us. The LIONS would like to welcome our new Auskick Sponsor for Seasons 2013 & 2014. Thank you and welcome to John and his family from Minuteman Press in Penrith. The LIONS would like to welcome our new Club Training Bag Sponsor for Seasons 2013 & 2014. Thank you and welcome to Peter and his family from Time & People. New Sponsors and New Jerseys for season 2013 mean the club now has an excess of jerseys. From our Season Launch on 22nd all players will be able to buy their jersey from Season 2012 for $10. They are a great souvenier of last season or training shirt for this season. Our club has been selected to participate in the Rebel Support Your Sport Program. Under this program, the club can earn 5% of your purchases at Rebel Sport as instore credit to spend on our club and buy much needed equipment for the club. You can now follow the Lions on Twitter. Follow @lions_AFL to get fast updates on all the activity in our club in Season 2013. Regatta Park (cnr River Rd and Gt Western Hwy) Emu Plains. Open to everyone to get some leather on the boot before official training begins. The LIONS would like to welcome some more TEAM Sponsors for Seasons 2013 & 2014. We look forward to working with you to build our great club. 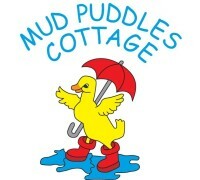 The LIONS would like to welcome our first TEAM Sponsor for Seasons 2013 & 2014. Congratulations Angus Harrold who recently competed at the All Schools National Athletics Championships in Adelaide, representing NSW. Angus threw 44.44m in the Discus placing him 5th in Australia. This was a remarkable effort given Angus gave away 50kg in body weight to some of the other competitors, but made up for it with his solid technique. The Lions will start pre-season training in December and run through until full training can commence in the new year. Training will be for all players. Well done to our Lions Auskicker James Kenny who was nominated for Auskicker of the year. Check out the link below to watch the story. Congratulations to the Under 12 Gold Div 1 team who beat Camden in the Grand Final to win the flag.